The Jim Thompson House Museum was opened in 1959 and currently welcomes over 300,000 visitors each year, providing guided tours in multiple languages. The James H. W. Thompson Foundation, in charge of the museum and committed to supporting Thai and Southeast Asian art and culture, oversees a dedicated team of guides, curators, maintenance staff and restoration experts to ensure that future generations will continue to be able to appreciate the legacy of Jim Thompson. In 2003 the Foundation established the Jim Thompson Art Center to nurture artistic activities focusing on both traditional and contemporary art, textiles and multi-disciplinary works. Since its inception, the Art Center has organized over 40 exhibitions of contemporary and pre-modern art, conducted 200 educational programs and collaborated with local and international art organizations to convene symposiums, seminars, workshops and special events. In order to address future needs for programs, exhibitions and enhance the visitor experience, the Foundation’s Trustees have approved a project to construct a new building in a space currently used as a car park. The new 3,000 square meter building will serve the local community by providing a public rooftop garden, two art gallery spaces, an auditorium, the relocated William Warren Library, research center, offices, and covered parking. 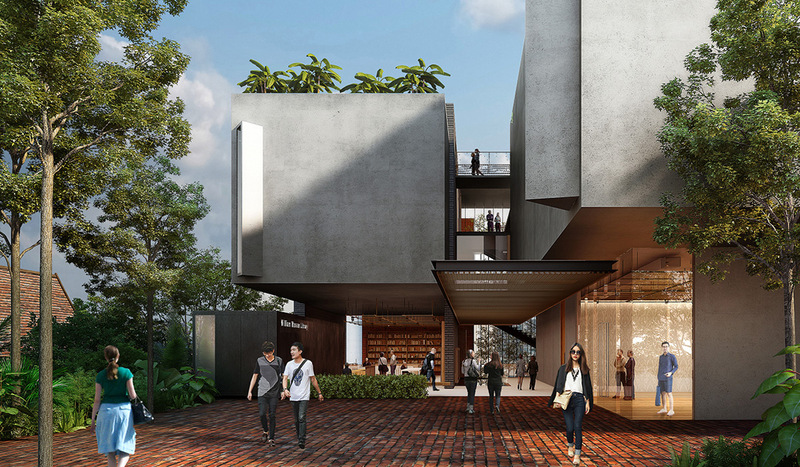 The Bangkok-based architecture firm design-qua designed the Foundation's new building with the vision of creating a cultural center in urban Bangkok that brings together visitors through art, learning, cultural events and nature. As a non-profit organization, the Foundation relies entirely on its own funding to carry out activities. To support future projects, effective July 1, 2018, the decision has been made to increase the entrance fee for the Jim Thompson House Museum to 200 Baht for adults. The entrance fee for visitors under 22 years of age (ID required) remains at 100 Baht and for children under 10 years of age, when accompanied by a parent, entrance is free. The Foundation looks forward to the support of the public to help sustain our mission to remain a cultural and artistic focal point in Thailand. We thank our visitors and long-time friends for their most welcomed support.